Well, this provides a pretty good explanation of why people using these titles are out of work. You don’t reinvent the title — you reinvent the process…and use the same title, sell the new process, and get a new client. It makes the client think they are clever for realizing (with your help) that “architects do this, too” and clients like it when they think they are clever. Clients don’t care if you think you’re clever — and they really don’t like it if they get the feeling that you think you are more clever than them. Remember Lance Armstrong’s book “Its not About the Bike”? — architecture is the same way. If you think its about the title, you’ve already lost the marketing effort. Thanks Anne. Your comment is as good an argument for architects not to abandon their title as I have come across. You’ve provided a great book list, as well as lots of ideas for future conversations. Marketing provides the structure for a series of activities that include brand development, image development, communications, positioning, and business development. The problem isn’t the list that you included under Business Development “abuse.” The problem is that so many firms focus on getting the work and *not* on more comprehensive marketing strategy and processes. Thanks Marjanne for stopping by and commenting. First, great eye: thank you for recognizing that this post was really a guise for sharing links for books I like (and some websites.) All my posts should probably be called “books I like” and save all of us time and expense. OK not expense. I completely agree with you concerning Business Development: I spoke with an architect the other day who, several years into his career, had never heard the term – nor was able to distinguish it from sales and marketing. I just hope that I haven’t perpetuated this misunderstanding by messing around here for the sake of a hard-to-come-by laugh. What you call a “problem” I see as a huge opportunity area in our industry – especially now, when our business models are in flux. Thanks again! Ditto Anne #1. Great post Randy. So why would we give up a title everyone else is so eager to use? Information Architect, New Product Architect, Solutions Architect, and my favorite: Innovation Architect. It seems like everyone wants to be an architect except us. (Though I was really annoyed when I was kicked off of unemployment one time because I refused to apply for the IT Architect positions). Then there is the press who uses the term as shorthand for “the brains behind” such as “Architect of the War” I shudder when we are associated with destruction instead of creation. Thanks Anne. Speaking of titles, worth pointing out that my first 3 comments are from people named Anne: namely, two Annes and (Marj)anne. Let’s see if we can keep this going! “In 10 years we probably will not call ourselves an architecture practice, it will be something else entirely,” from The Future for Architects. If no more architecture practices, does that mean there will be no need for “architects”? Very possibly. The study seemed to find that UK firms would be culled down to underpaid sole proprietors or large global engineering/design/consultancies. The market for mid-size firms is tough. I think we’re seeing that already. But I’m very serious about keeping the title, though it holds more sway with people outside the A/E/C industry. Despite the frou frou titles, we’re able to visualize and strategize and manage complex projects. That ought to be good for something. Already there is a demand for design school graduates, but with business school training as well. Maybe we need more joint programs to boost our cred with future clients. Better yet, aim to BE the client. For what it is worth, my first name is R Anne D.
Hi Randy: I just HAD to comment since my name starts with “An.” Laughed out loud at “the intersection of design and business.” Certainly, there is no GPS known to technology that can get you there! Thanks Andra for your GPS comment. Very funny. I think it is only fair that we now officially open comments to those not named Anne. Couldn’t pass the opportunity since middle name ends with “an”! As sure as many architects will still smell as sweet under a different name in ten years, the reports of the early demise of “architect” are greatly exaggerated. Embrace change, my colleagues, for that is what we do. They but borrow our name, and to it must add their bit, which bit more explains them than what they borrow. At least they spell it correctly, and mean us little harm. Play well. I like your blog Randy, and as someone not named Anne I knew right away I should add my comment. We should all stand our ground and hold on to use of ‘Architect’ and ‘Architecture’. It’s what we do. 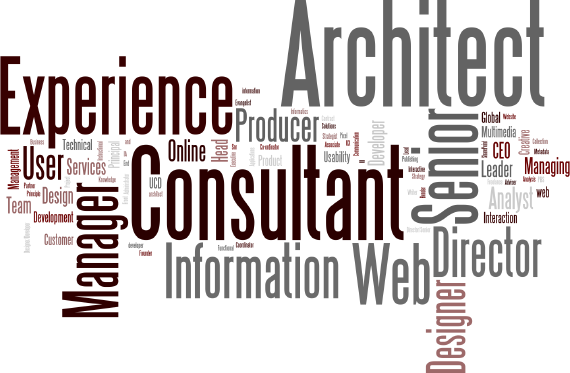 I wouldn’t mind the usurpers from the IT crowd adding the word ‘architect’ behind words other descriptive words like ‘database’, or ‘information’ or ‘SQL’ if the damned job search engines could/would tell the difference between them and us and quit flooding me with a bunch of computer-related job offers. I’m the guy with the license to call myself an Architect. From the Greek arch (“primary”) + tekton (“master builder”, i.e. “A person who designs buildings and advises in their construction”. Definition paraphrased from the Webster’s New Encyclopedic Dictionary, copyright 2002 by Merriam-Webster, Inc. (a large, heavy hardback book). Where are the ‘search-engine architects’ who’ll take the lead and solve this problem?